Alas, the obligatory about me page. I have always struggled with writing about myself, thus the dread. Here's my stab at it, more than anything else, it is about this blog. I love fashion and style. What I chose to wear has become my creative outlet. The power of fashion has always fascinated me. It’s amazing how an article of clothing can elicit a full range of emotional responses from both the wearer and wearee. Personal style also becomes a projection tool. Whether you like it or not, your first impression will be heavily based on how you choose to present your projection tool. Not too long ago, I was introduced the wonderful world of thrift shopping. Not only do I get to satisfy my inner hunter, I also save massive coin while doing it. There is also such a charm to working with ill-fitted pieced of vintage item. Needless to say, I was soon addicted. The best part, the proceeds from thrift stores all benefit charitable causes; virtually eliminating any feeling of guilt, or buyer's remorse. During my hunting trips, I have also happened upon many amazing local boutiques. These stores are all owned by hardworking, charming and fantastic individuals. Thus, it also becomes part of my mission to support these local stores. In short, I have an eclectic style with a vintage flare that often pushes the conventional boundaries. I explore the facets of life through the lens of different styles. I am my canvas, and style is my paint brush. On this note, it is a good time to credit the artistic master behind this blog. He is my better half and an amazing artist. 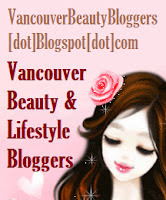 He is behind the visual representations of this blog. Without him, I would not have ventured into this avenue of self expression. Through his keen eye and lens, my creative outlet is then captured exceptionally via one of his many creative outlets. I have to thank him for being my booster rocket, and conjuring forth my true poser from within. I have also started work with another extremely talented photographer. 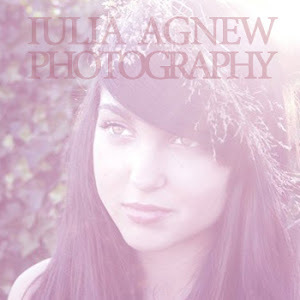 Her name is Iulia Agnew and you can visit her webpage, http://www.iuliagnewphotography.com. With the help of Michael and Iulia, they will always capture my Poses in Vintage.